Sadie Hoffmiller believes in her abilities as a cook and as a detective. She believes in the beauty of a perfectly baked pumpkin roll. She does not, however, believe in ghosts. 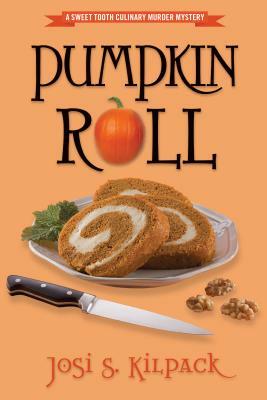 As Halloween approaches, Sadie is looking forward to spending her favorite baking season of the year making delicious New England recipes in Boston, Massachusetts, with her favorite leading man, Pete Cunningham, as they babysit his three young grandsons. When the boys insist that Mrs. Wapple, the woman who lives across the street, is a witch, Sadie and Pete are anxious to distract the boys from such silly ideas. Sadie tries to befriend Mrs. Wapple, but when her foolproof plate of cookies fails to work its magic, she is left with more questions than answers. And Sadie has never been one to leave a good question unanswered. The more she investigates, however, the stranger the answers become. And when Sadie learns the eccentric Mrs. Wapple has been attacked in her home, she knows times is running out. As the unexplained occurrences escalate, Sadie finds herself embroiled in yet another mystery with life-or-death consequences. Can Sadie discover whoever--or whatever--is behind the mystery before anyone else gets hurt? Or will this be the last time Sadie takes the case? Josi S. Kilpack is an accomplished and prolific author of nearly two dozen novels including the Sadie Hoffmiller Culinary Mystery Series. She has won the Whitney Award for Mystery/Suspense and the Utah Best of State Fiction Winner. She lives with her family in the Southwest.